Updated December 2017 — ‘Tis the season — the spirit of giving is upon us. And as consumer confidence stays strong, there may be even more giving than in previous years. The National Retail Federation estimates that U.S. holiday sales this year will exceed $675 billion, a record-breaking figure that excludes restaurant sales and represents a 3.6 percent increase over 2016. Deloitte, an international business consulting firm, also predicts a banner holiday season, with total purchasing forecasted to top $1.04 trillion. Gift wrappers are in for a very busy couple of months. Ecommerce is expected to be a significant component of total sales — Deloitte estimates an 18 to 21 percent increase over last year, up to $114 billion. With that much activity, it’s only natural to wonder how you should pay — cash, credit card, debit card, and mobile payment options among the many choices. Braden More, Head of Partnerships & Industry Relations for Wells Fargo Bank, understands such concerns. “First things first: It’s important for all of our customers to know that with our zero-liability protection, our debit and credit cardholders are not liable for fraudulent transactions that are promptly reported. And that’s irrespective of whether the card was swiped, dipped, typed, tapped, or rolled with an old-fashioned ‘knuckle buster,’” he says. This type of protection extends to those using the newest and most cutting-edge technologies, says More. With the Wells Fargo Mobile® Banking App for your Android™ device, customers are a mere tap away from making a purchase with the Wells Fargo Wallet™. And Wells Fargo Bank is working with other mobile solutions developed by the technology companies themselves. “We securely integrated with reputable companies to help our customers access their Wells Fargo Bank cards in Apple Pay®, Android Pay™, and Samsung Pay*,” More says. For those just getting started with mobile purchasing, the Wells Fargo Bank website offers a clear introduction and overview with simple setup instructions. Ecommerce is expected to account for $114 billion of the projected $1.04 trillion in total sales this holiday season. With the computing power of modern phones, safety and security are equal to if not greater than that of a traditional plastic card, More notes. First, there’s the protection provided by the phone’s own user security. Going beyond that, “Wells Fargo Wallet uses a process called ‘device binding’ to help ensure that the contactless capability (the ability of your card to pay for a purchase without being scanned but by waving it in front of a reader) is linked to that device. If that ‘link’ is broken, the card transaction is deemed to be unauthentic and the transaction will be blocked,” says More. Simply put, your ability to use Wells Fargo Wallet to pay on a mobile device is linked to your phone and your phone only. Making purchases online is also becoming more secure, notes More. “By enrolling in Visa Checkout®, our cardholders enjoy a quick and secure checkout experience at many leading Internet sites and mobile apps,” says More. The chip cards that Wells Fargo Bank has been and is currently issuing feature additional layer of security when used at a chip-enabled terminal. The interaction between terminal and chip makes it very difficult to replicate without an authentic card. But when you’re shopping this holiday season, there’s more to technology than just how you pay — it can help you stay vigilant, which is a good idea not just during the holidays, but year-round. 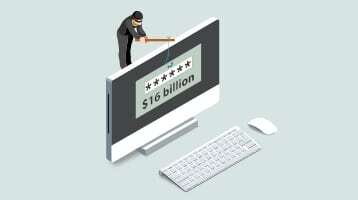 “By signing up for alerts in Online Banking, customers can be alerted when a charge occurs, helping keep them in control and making them easily able to monitor their accounts,” More says. Lance Elko, a freelance writer based in Greensboro, North Carolina, is the former editor of US Airways Magazine and USAA Magazine. *Only compatible with select cards, carriers and Samsung devices; see the Samsung Pay Support page for compatibility information and merchant terminal limitations. ©2016 Samsung Electronics America, Inc. Samsung, Samsung Pay, Samsung Galaxy, Samsung Knox and Galaxy S (and other device names) are trademarks or registered trademarks of Samsung Electronics Co., Ltd. Use only in accordance with law. Other company and product names mentioned may be trademarks of their respective owners. Screen images are simulated; actual appearance may vary. Contact your bank or financial institution to verify that it is a Samsung Pay participant. Samsung Pay is available on select Samsung devices. Please see Wells Fargo Wallet Terms and Conditions for information on liability for unauthorized transactions.